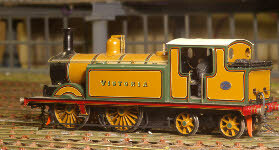 This C1, built by Chris, is another EB Models kit. 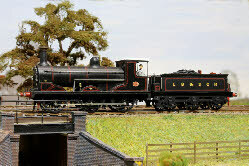 No 427 is painted in Marsh’s goods black as it was one of the few that were repainted prior to being scrapped. As with the C class, the boiler and tender sides have been replaced with nickel silver sheeting. 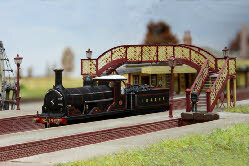 The chassis for both the tender and the engine are substantially scratch-built, with direct drive onto the centre drivers, and the tender hanging off the drawbar giving extra weight to the rear wheels of the loco. 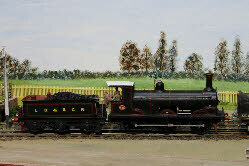 The four photos below show the engine in action on Plumpton Green for the first time.